The World Magic Cup is the only tournament where you're playing for your country. 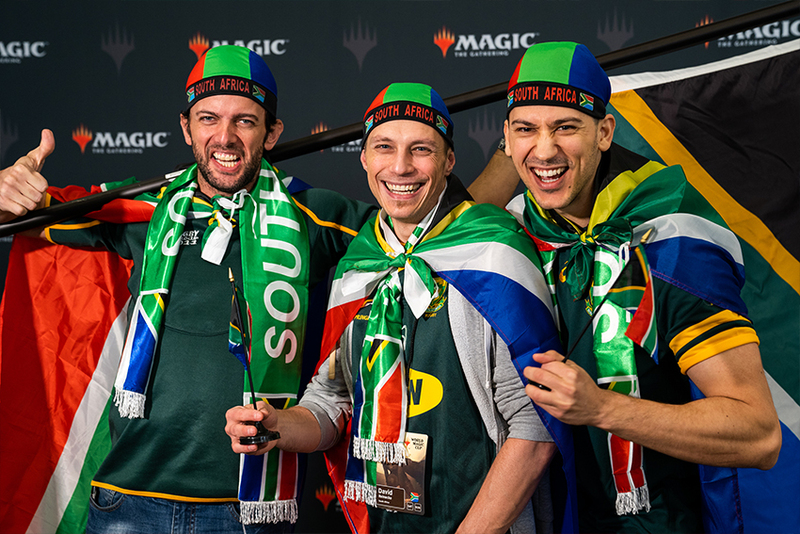 Intricate Team Sealed Deck construction and Team Unified Standard puzzles notwithstanding, the tournament is mainly a celebration of the Magic community worldwide and an opportunity to show some national pride. Every year, Wizards gives out the Spirit Awards to honor the teams that most creatively display their national pride in the spirit of this special tournament. This year, four teams shared in this accolade of showmanship and sportsmanship. The South African team stood out with a rainbow set of scarves, caps, and flags, all in their national colors. "We just wanted to be superheroes from South Africa!" National Champion Theuns Prinsloo laughed when I asked how they decided on their outfit. "South Africa has one of the most beautiful flags in the world," Nationals runner-up David Reinecke added in a more serious tone, "and it means so much to us due to our nation's history. So it was an easy choice for us to put it on. And since it's the last World Magic Cup and Nationals is going away, we wanted to go out with a bang." Their outfit even had a practical use to boot. As team captain Kaloyan Petkov pointed out, it helped the them stay warm in Spain's relatively cold December weather. All in all, team South Africa are a deserving recipient of a Spirit Award. Team Mexico has now received a Spirit Award for three years in a row, and they always stand out from the World Magic Cup crowd. In 2016, they came equipped with sombreros and luchador's masks. In 2017, they wore outfits in the historical style of the Aztecs. 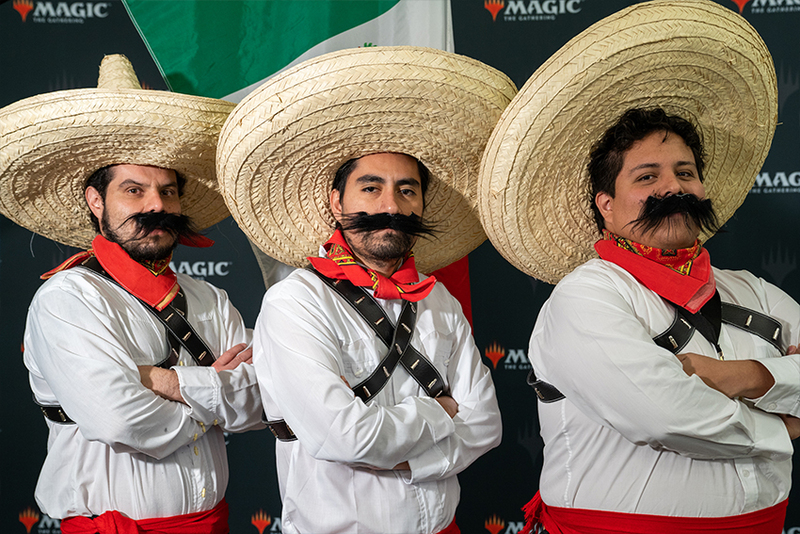 This year, the Mexican national team of Dagoberto Silva, Daniel Becerra, and Marcelino Freeman clothed themselves as revolutionaries with full-blown mustachios. As they explained to me, these outfits are sometimes worn during Mexican Independence Day, and they harken back to the days of the Mexican Revolution. The trio won Grand Prix Liverpool just last weekend, so their trip to Europe had already been a success, and they were one of the big teams to watch going into the event. But this weekend, they were also competing in style. Scotland always does well at the World Magic Cup, having never missed Day Two at this event. In fact, they are the only country to have retained a pristine 100% Day Two conversion rate at the World Magic Cup since its inception in 2012. Part of their secret is how the Scottish community works—everyone comes out for Nationals, and then there are the Scottish store championships that help the National team prepare. 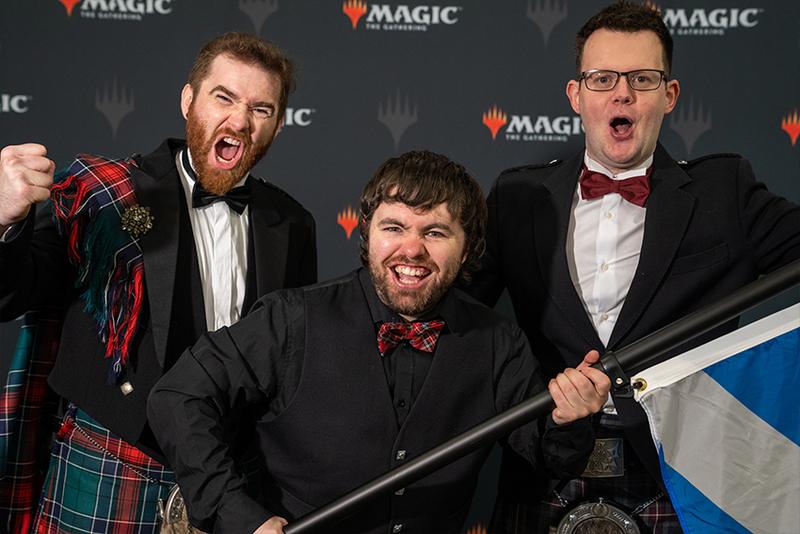 Once the Scottish team arrives at the World Magic Cup, they play with pride, they play with passion, and they play in traditional kilts. This year was no different. This year's team of Holt Hauser, Stephen Murray, and Dani Anderson once again donned the plaid as a team, and it has been striking fear into the heart of their opponents all tournament long. This year, they dressed up even more formally, with bow ties to complete their outfits in honor of this very last World Magic Cup. The final Spirit Award went to team Guatemala, whose beautiful jackets showcased a resplendent quetzal, Guatemala's national bird, which can also be seen on the country's flag. "Guatemala has this tradition of always trying to have nice outfits for this event. This event is really big for the community," team captain Kevin Perez said. "We are trying to innovate every year, trying to do fresh and new stuff. And we hadn't done something with the national bird yet, so that's why we chose it for the outfit this year." Their traditionally designed jackets were custom-made by a friend, using a fabric that is customary for some of the regions in Guatemala. 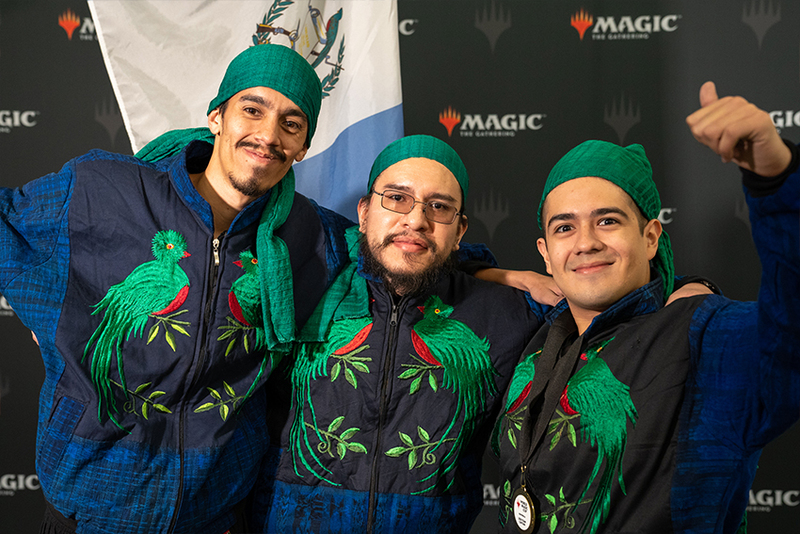 And although you can't see it in the picture, under the jackets they were wearing specially made T-shirts emulating the national flag, with a nice arrangement of a quetzal alongside a handful of Magic cards. Combining the spirit of the game along with an icon of their country, Guatemala was the final recipient of the 2018 Spirit Awards. Congratulations once again to South Africa, Mexico, Scotland, and Guatemala—your 2018 Spirit Award winners!